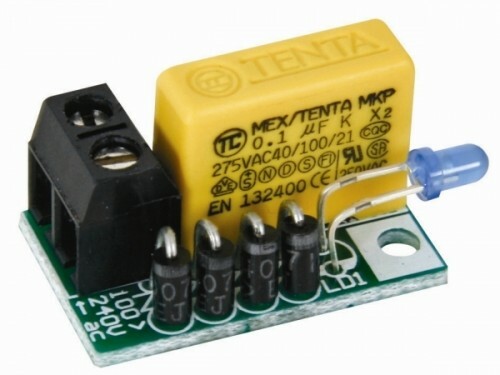 Here is a simple and powerful LED circuit that can be operated directly from the AC 100 volt to AC 230 Volts mains supply. The circuit can be used as mains power locator or night lamp etc.. The resistor R1,R2 and capacitor C1 provides necessary current limiting. The circuit is sufficiently immune against voltage spikes and surges. Also white LED can be used in this circuit. This circuit operates on a lethal power voltage. Mount the circuit in a protective cabinet prio to applying AC Power. Do not modify the circuit - Wait 10 minutes before touching the circuit after disconnecting the AC Power. This circuit is not intended for children.